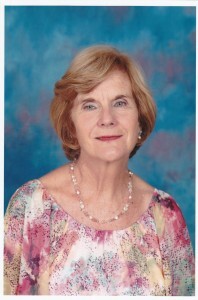 Anne Cawood is a registered social worker with many years’ experience. Now working as a part-time school counsellor at Greenfields Girls Preparatory School and previously working as the school counsellor at Herschel Preparitory School in Cape Town whilst also running a busy private practice from two bases. She also worked at the Parent Centre for several years. Trained to run Systematic Training for Effective Parenting (STEP) she’s been involved in developing and presenting workshops on a host of parenting related topics, from Adjustment to Parenthood, to Discipline at Home and in the Classroom, Step-parenting and The Effects of Divorce on Children. Anne is a popular speaker and is often invited to do presentations at schools, parenting workshops and on radio shows. She is also frequently approached by Attorneys and the Office of the Family Advocate to undertake forensic/legal work in matters of divorce, custody and assessments. She has written many parenting related articles for the print media, and presented lectures and workshops at the UCT Summer and Winter Schools. In her work she places a strong emphasis on problem-solving and life-skills training, and her workshops for children on topics related to self-esteem, peer relationships and assertiveness are very popular. She was also nominated for the “Woman of the Year” Award in 2010. Anne has published 5 Parenting books through Metz Press, in 4 different languages – English, Afrikaans, Italian and French and her books are available in most countries. Anne is married with four children and four grandchildren and lives in Cape Town. She regards her role as a parent as having been the most challenging, daunting, rewarding, exciting, exhausting and emotionally satisfying aspect of her adult life, with endless and ongoing opportunities for personal growth. Her passion and enthusiasm for parenting is infectious and will motivate even the most reluctant parent to work towards a clear understanding of and a confident, relaxed and consistent approach to effective discipline without punishment.